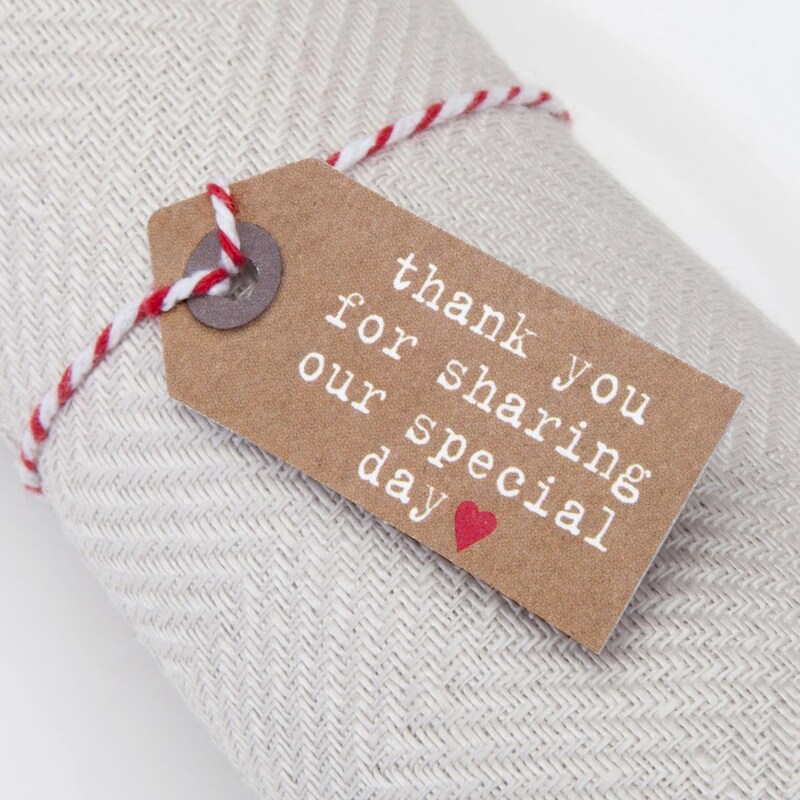 These retro-inspired luggage tags blend bold, typewriter-style font witha heart-warming message, a lovely way to add a personal touch to you wedding favours. They can be attached to our co-ordinating favour bags or used with your own boxes, bags or other items. Made from high-qualitycard, each luggage tag is decorated with simple red heart, adding a subtle dash of colour to your favours.